CertifyMe already enjoys a well-earned reputation in the forklift training industry, and their roll-out of potential market-related job opportunities for forklift drivers further advances the company’s overall mission, vision and purpose. The targeted location webpages, available on the CertifyMe website, list area companies, local job outlooks and other helpful facts and figures. • Chicago – a strong transportation and manufacturing base make Chicago an ideal market for forklift drivers. 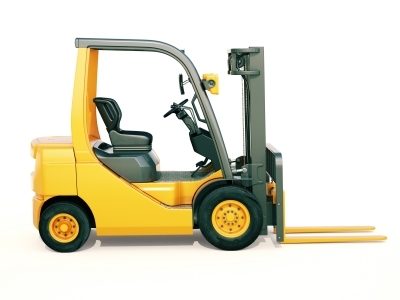 For more information about Chicago forklift training possibilities, click here. • New York – American’s most populous city also offers plenty of opportunities for properly trained forklift drivers. Visit the New York forklift training and certification page to learn more. • Atlanta – the South’s largest city is strategically located and is an underrated market for OSHA-compliant forklift operators. Click here to browse CertifyMe’s Atlanta forklift training page. • Los Angeles – the second most-populous U.S. urban area also has a deep water port and abundant interstate highways and railroads, making the city a preferred location for forklift drivers. CertifyMe’s convenient online testing ensures that, regardless of an individual’s specific location, anyone can achieve OSHA compliance and current certification.